The Super 8 of Pueblo welcomes you to South-Eastern Colorado. 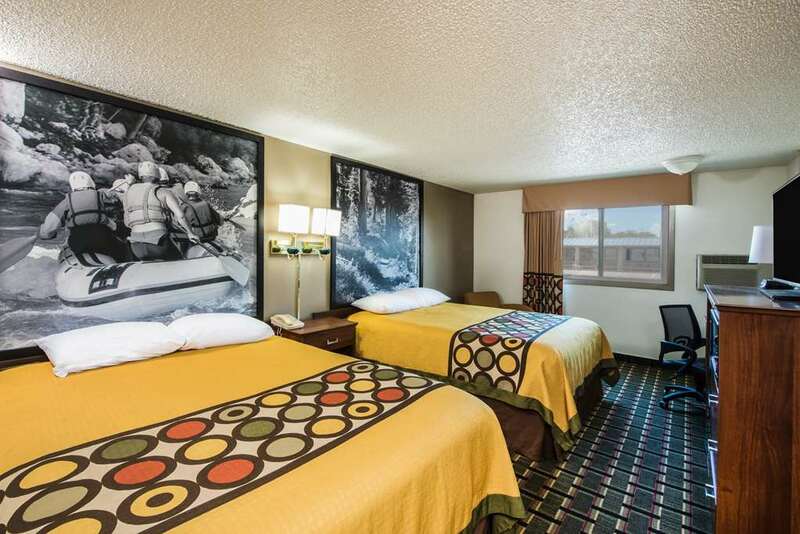 The Super 8 is conveniently located just off I-25 at exit 101. We are minuets away from Colorado State University, Royal Gorge Bridge, and many other Colorado Attractions. Discover exotic wildlife, world-class hunting and fishing, and statewide history in Colorado. After you have spent your day traveling and exploring our beautiful state, park your car, truck, or RV in our large secure parking lot, then let our professional and friendly staff assist you in finding the clean and comfortable room that will fit you and/or your familys needs. Relax by out indoor heated pool and hot tub, then enjoy high-speed wireless internet access, and expanded cable TV w/remote control featuring HBO, ESPN, Fox News and Disney. Join us in the morning for our complimentary SuperStart continental breakfast. See you along the way. Pets Accepted with a fee of 10.00 USD per day, Guests must call Property at 719-545-4104 before booking a reservation with a pet as rooms are limited.